I am a military wife, and I started playing around with crochet while my husband was deployed to Africa. A friend asked me to make an amigurumi (stuffed plush toy) and I was hooked! I make lots of cool things, but amigurumi is still my passion. 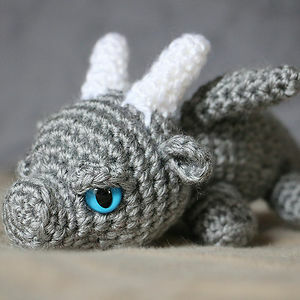 I have made thousands of the little guys, and it is still magical to see an adorable face appear from a skein of yarn. Whoah…what are the eyes made of??? I can't remember exactly what this character's name is, so I'll just call them Boat Snack. If these were real! Sigh.. Isn't that the poison type of octopus? Awww... I LOVE this! My daughter has christened this one "Ellie" and keeps asking me to make one for her in pink (her current favorite color). It's Doctor Watson the octopus! Moana will help you little guy. You just made the most kickbutt turtles into cute crochet ones!! What happen to their arms! Dr. Grant and Mr. Hammond are proud of you little Triceratops. Whatever this critter is, it's adorable! Every one of these knitted critters has real personality! How do you do it? Maybe I'll have to buy one from Etsy. . . . This reminds me of my baby plushed toy I still have. A cute white elephant with purple in it's ears and on his paw/feet! Minus the pink flowers and it's ears are up and round though. But so cute! This one is just as adorable! Game of Thrones dragons ! Give em cute names. More marketable that way. Cacti with personality. That's originality in my book! These bunnies are so cute - you've got a talent! Thanks for sharing! A mastodon and an African elephant! Crochet artist, designer, and photographer from Las Vegas. Omg they're so cute! 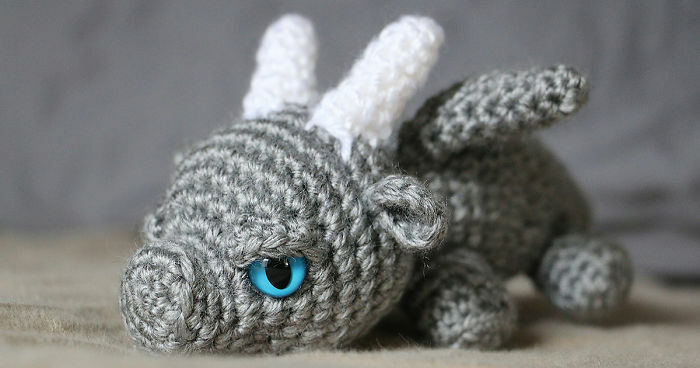 Fierce baby dragon isn't fierce! He's adorable! I loved the elephants the most! Even the dinosaurs looked sweet. These are so adorable! Wonder how long it takes her to make one? It ranges from half an hour for an octopus to a couple of days for a big elephant or something. These are quite good. I don't crochet, but I am a knitter and her stitches are very neat and even. She also has a nice sense of color.